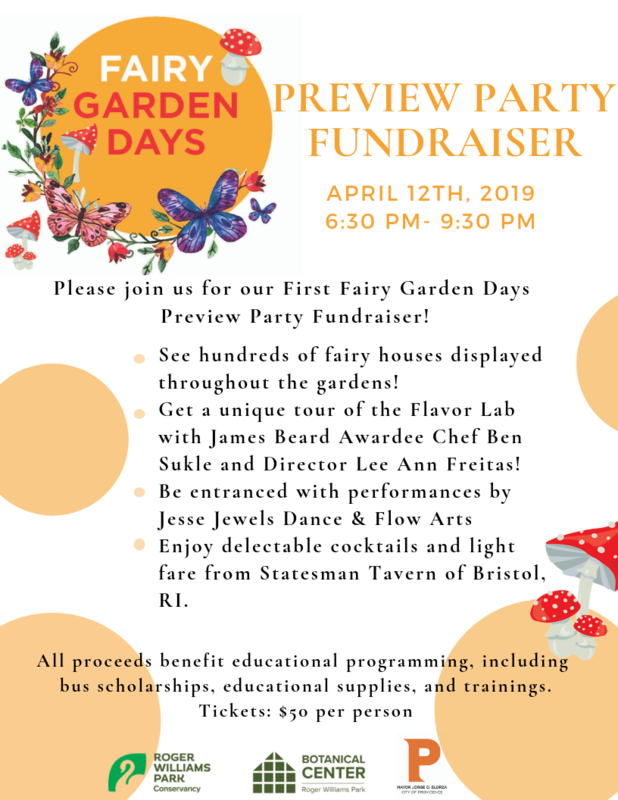 Please join us for our First Fairy Garden Days Preview Party Fundraiser! See hundreds of fairy houses displayed throughout the gardens! Get a unique tour of the Flavor Lab with James Beard Awardee Chef Ben Sukle and Director Lee Ann Freitas! Enjoy delectable cocktails and light fare from Statesman Tavern of Bristol, RI. All proceeds benefit educational programming, including bus scholarships, educational supplies, and trainings. Please call 401-680-7263 or email bcinformation@providenceri.gov to RSVP and buy your tickets today!